I built my first website about a decade ago and have tried many different web platforms and templates over the years. For about the past five years, WordPress has been my platform of choice, both for my own sites and for sites that I have created for clients. Today, I only set up and work on WordPress websites. Why do I love WordPress and why do I think you should love WordPress, too? It doesn’t cost anything to install and use WordPress. The only cost is to register your domain and pay for web hosting. Yes, you can have a completely free blog at wordpress.com but if you are using WordPress for business you NEED to self-host WordPress on your own domain. The cost of a web host and registration can be as little as $5/month. If you can’t afford it or aren’t willing to pay that, you should probably rethink entrepreneurship. You don’t have to be a programmer to set up and maintain a WordPress website. You don’t have to know a speck of code (though a little knowledge can be helpful in customizing some themes). You don’t have to be a computer genius. Most web hosts come with WordPress pre-installed on your domain or have “one-button installation” and WordPress includes with a pre-installed default theme. So, if you really don’t want to do anything except start blogging, all you have to do is fill in your information and you are ready to go. Whether you want a blog, a static (traditional) website, an e-commerce site or some combination of the three, WordPress can handle it. Whether you are a one-person business or a multi-national corporation, WordPress can handle your needs. It’s used by everyone from solo entrepreneurs (like me) to Fortune 500 companies like GM, eBay and UPS. Unlike some web platforms, WordPress sites are not all the same. There are countless numbers of free WordPress templates, called themes, available (my latest Google search returned 6 million results) and nearly as many premium or paid themes. You can make WordPress look like a blog or look nothing like a blog. In addition to all the themes, there are also plug-ins that extend the functionality of WordPress and add additional customizations. WordPress is infinitely customizable. If you have a website, you want to be found online and that means the search engines need to be able to find you. The WordPress platform is designed to be SEO (search engine optimization) friendly, meaning it has features that make it attractive to the programs search engines use to find content. This also makes it easy for theme developers to create and incorporate even more search-friendly features into their themes and plug-ins. And while this may all be Geek to you, all you need to know is that it’s good for your website and good for your business. And that is why I love WordPress . 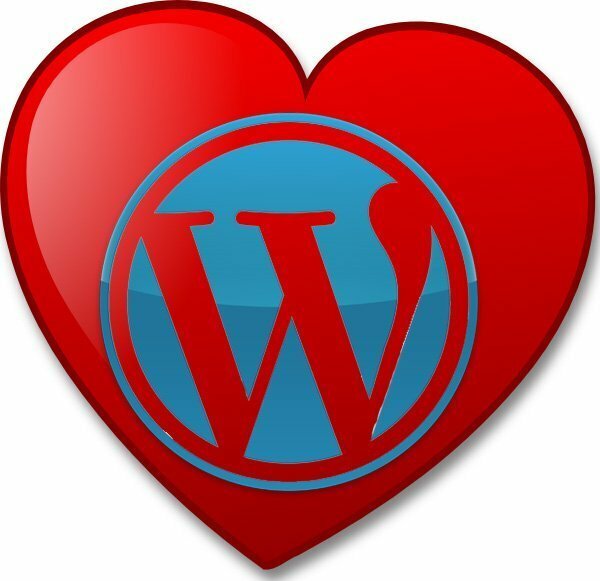 Do you love WordPress ? What features are your favorite? Me, tooooo. Ever since I set up my first blog on WordPress, I have been in love with how it works and how it looks. I set up my website on wordpress and I am a complete novice. I know there is a lot I can do to improve it but it works for now. I like that I could set it up without being a pro. I love WordPress and agree with all the points. Plus, it’s stable! Some scripts are not, especially once you get into extending them with plugins, but pretty much any of the plugins available on the wordpress.org site will work together without issue. I’ve seen very few incompatibilities with my plug-ins. It just seems to get more stable and more functional with each update.